A few days (or was it weeks? oh dear) I tweeted out some things that were true for me in that moment. I had read a tweet by the agent Jessica Sinsheimer and I was reminded of how sweet she always is to folks on Twitter. I’m sure she has her moments of crankiness in her private life, but on-line she is always kind and gracious. In that moment, I was moved to tweet something along those same lines. And that started a wee gratitude tweet-stream by me. Just little thoughts I have about some folks I may or may not actually know in real life but who have been kind to me over the years and have made a difference for me. And in the 5 years I’ve been on Twitter, there have been lots of good people who’ve helped me just get through the days. I guess I follow a lot of kind folks. I had a moment of spontaneity and fired off a handful of tweets without thinking too much about it. However, a few folks read those tweets with concern. Was I taking a Twitter-break? Was something wrong with me? What was going on with me to cause me to tweet all these thoughts? I don’t think the folks who were concerned were totally remiss in their consternation. After all, it isn’t totally commonplace to tweet such things. These days Twitter has become a very different place than back in 2009 when I first found it. In some ways, it seems like people are more often shouting or selling things. However, I refuse to give up Twitter as my favorite platform to be social. After all, 140 characters can be the perfect size space to interact with others. Back in the 1970s, my mother instilled in me the notion that “if you can’t say something nice, don’t say anything at all.” It was good advice in an era known for its creative use of fabric patterns, blue eye shadow, and Aqua Net. It’s advice that still holds true today. But I like to think we should also teach one another this: be kind to others and yourself. Just imagine how things could be in this world if being kind was our first intention when we interacted with others. Think of all the things that would change…resource allocations, military interventions, cyber-bullying attacks. So many things that just wouldn’t be at all if kindness was our first response. I’m starting today by being kind to myself. Instead of getting mean about the numbers the scale said this morning, I just noted them and moved on. I’d carry a lot fewer scars if I’d learned to be kind to myself 35 years ago. And I plan on sending out a few notes to folks who I’m thinking of. We all need more real mail to brighten our mailboxes and days. Lastly, I just might tweet out a few more gratitudes. Because Twitter and the inter webs can always use more good stuff. I wish you all a day filled with kindness – towards yourselves, your loved ones, your corners of the world. 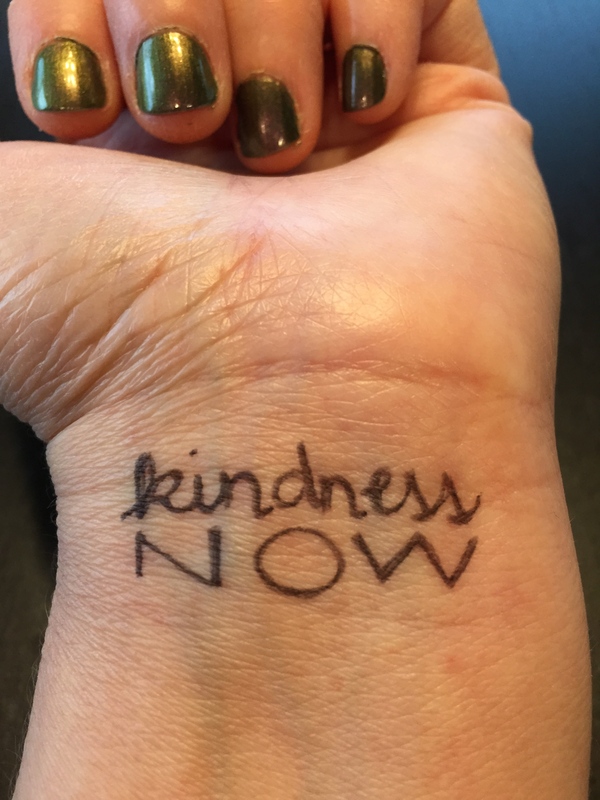 This entry was posted in Front Page, Life, Social Media and tagged Jessica Sinsheimer, kindness, Twitter by kristina. Bookmark the permalink. Thanks for this, Kristina. I needed it today. You’re right—learning to be kind to ourselves makes our days so much more enjoyable.